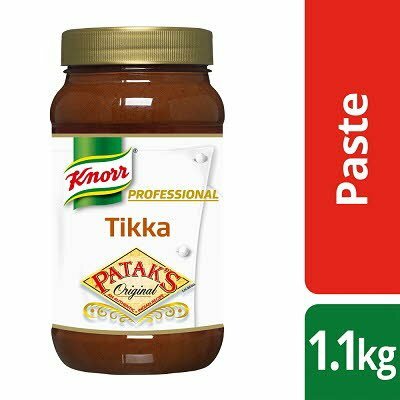 A Tikka paste made with tamarind and a mild blend of spices. Water, paprika powder (11%), coriander powder (7%), rapeseed oil, acids (acetic acid, citric acid, lactic acid), salt, tamarind (2.5%), spices (contain MUSTARD), modified maize starch, cumin powder (1%). Made in a factory that uses nuts and peanuts.